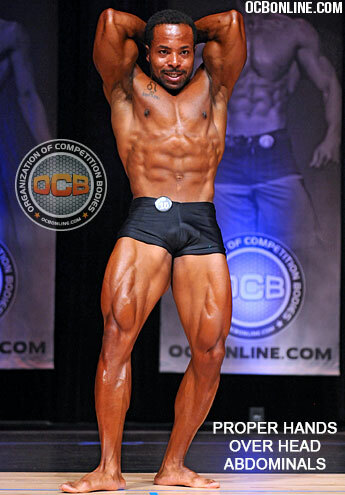 Men's Classic Physique consists two parts: Group Comparisons and Individual Presentations. Competitors wear plain black spandex shorts (no branding or logos are permitted). Competitors must be age 16 or over. Competitors under 18 must have parental consent. Competitors cannot participate in any other categories at the same show. 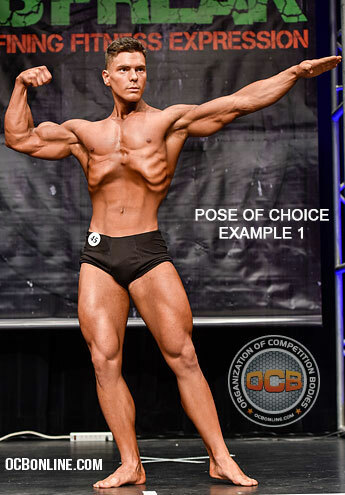 Judging for OCB Men's Classic Physique takes four elements into account: ample muscularity (size), good definition (leanness) but not to the extreme, symmetry, and presentation (ability to display development during posing in the group comparisons). The targeted look is a little less extreme than in Men’s Bodybuilding. Each class is brought to front center stage and is guided through a series of mandatory poses. 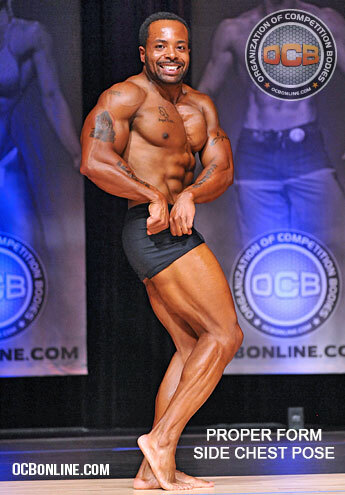 The proper form for most poses is slightly different than how they are done for the Bodybuilding category. Click on pose names to see examples of proper arm and hand styles that should be used, or view image examples above. Not perfoming poses in the manner specified may result in lower scoring from judges. 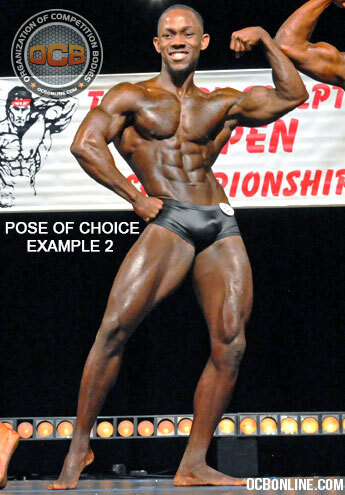 Competitor's choice of any classic pose (some examples: Optional pose 1, Optional pose 2, or others of choice). Competitors individually perform a 60-second posing routine to music. The individual routine is not factored into scoring but does count toward consideration for Best Poser awards when offered. Competitors can use a mixture of any poses they choose.